Rune T. Kidde: Rock'n' roll bliver født, del 5: Little Richard. Min signerede fotosamling. Rock'n' roll bliver født, del 5: Little Richard. Min signerede fotosamling. Little Richard, alias Richard Wayne Penniman, født 5. December, 1932 I Macon Georgia. Brød igennem med ”Tutti Frutti” i 1955 og er i dag 79 år gammel og fortsat aktiv. Har over årene bevæget sig inden for genrerne Rock and roll, R&B, soul og gospel. 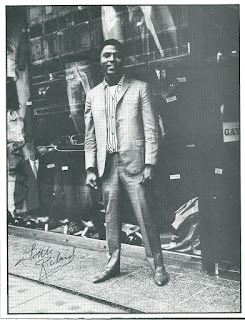 Little Richard kalder sig selv ”The architect of rock and roll". Spiller piano, keyboard og saxofon. Han er biseksuel. Led i perioder af alkohol- og cocainmisbrug og var på et tidspunkt både ved at blive skudt og styrte ned med et fly. I 1957-62 og 1977-84 helligede han sig kristendommen og blev præst, hvilket han ikke mener, er i modstrid med rock and roll. Han har over årene blandt mange andre viet Cyndi Lauper, Bruce Willis, Tom Petty og Bruce Springsteen og begravet Wilson Pickett og Ike Turner. Little Richard opdagede i øvrigt Jimi Hendrix, der i 1965 blev medlem af hans band og havde ham som forbillede. 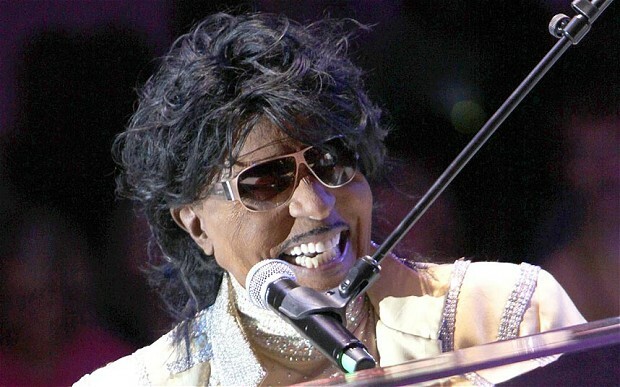 Little Richard, the American singer-songwriter behind rock and roll staples Tutti Frutti and Long Tall Sally, celebrates his 80th birthday today. Little Richard performing at the Riverbend Festival in Chattanooga, Tennessee on June 13, 2009. The artist's 1957 debut album 'Here's Little Richard' was one of the albums added in 2013 to the Grammy Museum Album Hall Of Fame in Los Angeles. Born Richard Wayne Penniman, Little Richard was instrumental in the development of the classic rock and roll sound, coupling pounding piano playing with screeching vocals and ushering in a new sound in the process. In particular his record Tutti Frutti has been repeatedly singled out as the genre-defining sound of the birth of rock and roll. His music was not the only thing that set him apart from his peers: with his rebellious demeanour, mascara-coated eyelashes and androgynous stylings, Richard Wayne Penniman was a new kind of star. He was raised in a devout Seventh-Day Adventist family as one of 12 children, singing gospel and learning piano at a local church. He was thrown out of his family home at 13 and moved in with a white family - Ann and Johnny Johnson - who ran the club where he first performed. Tutti Frutti was recorded as a between-song filler piece, but it was released as a single and sold millions of copies. It was enormously successful and set the template for seven subsequent gold singles for Little Richard, including Long Tall Sally, Rip It Up, Lucille and Good Golly, Miss Molly. 2012 marks his 67th year of public performing. En 1995 version af gennembrudshittet "Tutti Frutti" ansigtet er plastopereret men sjælen lever i den grad. Falsetten har han lært af den fantastisk gospelsangerinde Marion Williams. 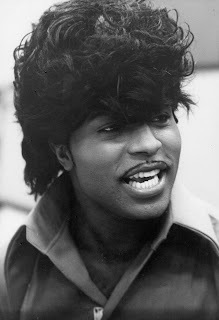 Interview med Little Richard 1985.